Australian households are advised to run their taps for at least 30 seconds in the morning to avoid exposure to lead, according to a statement from enHealth. The statement was issued in July but has only recently been reported by Australian news outlets. While lead is rarely used in Australian water pipes, it is widely used in a range of plumbing products including brass fittings. Unlike many other metals, lead is not beneficial or necessary to humans and may impair brain development in children. People should take every opportunity to limit their exposure to lead, according to the statement. The latest advice to flush taps for 30 seconds isn't new, in fact it has been around for a long time. It is only now that it has been re-issued that it has received some attention. Regardless, it takes us back to the source of lead in the drinking water, which is the lead-brass plumbing. In Australia, most lead-brass contains up to 4.5 per cent lead and this may have impacts on human health if consumed. So the conversation needs to once again focus on changing manufacturing standards, legislation and ensuring that lead is no longer permitted in products for use with potable water. In decades past, drinking water was seen to be a comparatively minor source of exposure to lead for most people in Australia. That’s because there were other much more significant sources including leaded petrol and paints. However, since lead has been largely phased out for those uses, exposure through drinking water may be much more significant than it was. With the focus now on low-level exposure, I think the onus will increasingly be on Australian drinking water quality managers to ensure that safe levels are not exceeded. The safe concentration of lead set in the Australian Drinking Water Guidelines is 10 micrograms per litre. This concentration is supported by decades of research and is considered to be very conservative. It is intended to protect the most vulnerable community members, including babies and pregnant women. There have been a number of circumstances where this guideline value has been revealed to have been exceeded and that shows that improvements in lead exposure management are needed. However, elevated blood lead levels are rarely found to be related to lead exposure from drinking water in Australia and there is currently no evidence of adverse effects on human health from the consumption of lead in drinking water in Australia. Nonetheless, it is appropriate that steps be taken to minimise lead exposure through drinking water as much as possible. 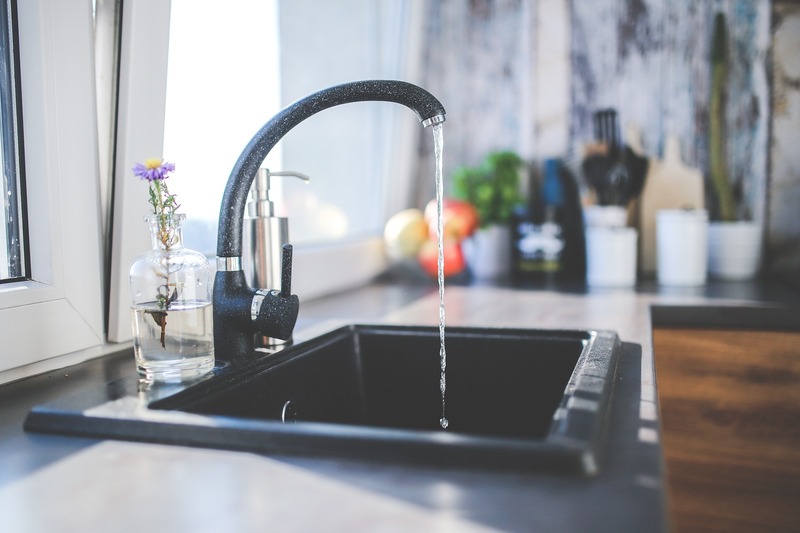 Since water supplied by Australian water utilities is generally very low in lead concentration, it’s an avoidable scenario that some of this water then becomes contaminated once it enters household plumbing systems. Reducing the allowable concentration of lead in brass fittings is an obvious way to reduce lead exposure. As I understand it, The Australian Building Codes Board (ABCB) has commenced the process of implementing this. However, this doesn’t correct the legacy problem of older plumbing systems in older households and buildings. In those cases, the recommendation to flush water before use is appropriate. Lead contamination in school plumbing systems is something I believe we should be paying closer attention to. I think this is of particular concern, when the students come back to school after a long summer break. Under those circumstances, there is potential for water to have sat stagnating, with warm summer temperatures, in the school plumbing system. These are ideal conditions for lead to be leached from the pipes to the drinking water. Such a scenario is all the more significant when we consider that many of the risks around which lead exposure is controlled are considered to be greatest for children, compared to adults. In my opinion, state governments should mandate that all schools develop water quality management plans and ensure that such plans are effectively implemented. Stuart Khan is a member of the Water Quality Advisory Committee to the NHMRC. This is the body that reviews and sets the Australian Drinking Water Guidelines and is therefore responsible for the current lead guideline level referred to in the above comments. The opinions expressed above are Stuart’s personal professional opinion and do not necessarily reflect the opinion of the Water Quality Advisory Committee to the NHMRC. I agree that one should not, in general, drink from a hot water supply due to the possible ingestion of metals leached out of the water heating system. This is more a matter of principle rather than actually related to any specific health concern - in an emergency you can, of course, drink several times from the hot water supply and nothing bad will happen to you! Also, it is definitely a good idea to run drinking water out through a system that has stood stagnant for several weeks or longer. This will flush out corrosion products, dissolved iron, insects etc. and maybe any lead if any was actually present. But you need to run it for several minutes in order to flush the system, not just 30 seconds! However, once a cold water tap is in normal daily use this need disappears because it takes in excess of several days for metal ions to build up in stagnant water. It’s about time for Australia to look at solving the problem of lead contamination. Lead contamination is a serious issue and the WHO stipulates that "there was no safe level for lead exposure". We must transition to lead-free plumbing and make sure that our hospitals, schools and building are free from risk of lead contamination. This technically possible, all we need is a commitment from a number of stakeholders and some clarity. Until now we didn’t have a clear and consistent position from the Commonwealth and State Government are left to making an ad hoc decision and mostly attempting to minimise the risk. A clear and informed risk framework is urgently needed! "The comments provided by the Chief Medical Officer on Sunday are entirely appropriate and reflect the evidence available - there is no reason to suggest that there have been any adverse effects on human health at this point. While it is true that there has been evidence of a potential problem with respect to lead in taps and it resulting in exceedance of the drinking water standard for lead at 10 µg/L, there is no blood lead data to suggest there is problem akin to the scale of that experienced in the USA cities of Flint or Washington. The Australian Building Codes Board ABCB have executed an appropriate response to the problem by seeking an independent review of the evidence of issues regarding lead in plumbing fittings and materials. This is the subject of our review for them, which is due out in the next two weeks or so. This review followed the Perth Children’s hospital lead in water issue and came after the study we completed in 2016 that examined lead in drinking water in NSW homes. The research was led by Dr Paul Harvey, who was a PhD student at Macquarie University at the time. The Perth football stadium and Geelong lead drinking water from fountain taps came after. Therefore, I support the Government's approach here because it has sought an evidence-based review in order to determine what to do next, if anything. Governments will not tackle a problem unless there is evidence that they have acquired independently. This is the way government operates and it is an appropriate and measured response. While I acknowledge that this slows the process, it provides for targeted information gathering using carefully designed terms of reference."